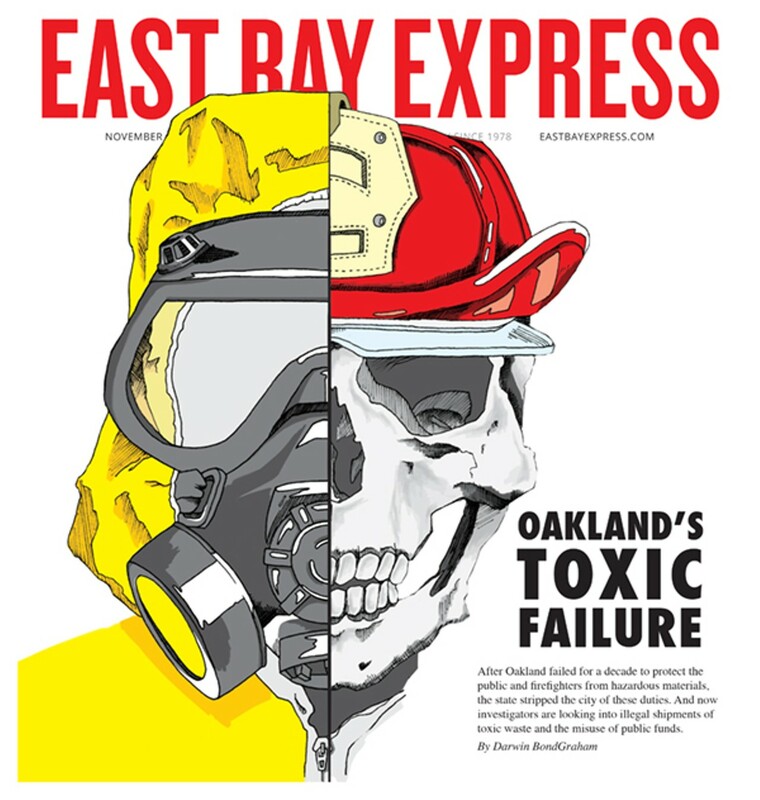 The vast majority of the hazardous waste that was transported/disposed of illegally was waste that was abandoned on the streets of Oakland by Oaklanders or by contractors that Oaklanders hired. Be cautious of who you hire to clean out your garage or yard, to paint your house, to stucco your walls, etc., and make sure that they take your waste to the proper place to dispose of it. Illegal dumping is a big problem in Oakland and contributes to a lot of blight. Almost all of this waste could have been disposed of free of charge if the dumpers would just take it to Alameda County's Household Hazardous Waste Facility. It is open Wednesday through Friday from 9 a.m. to 2:30 p.m. and Saturday from 9 a.m. to 4:00 p.m. — no appointment necessary. It is located at 2100 East 7th Street in Oakland. Be vigilant in your neighborhood, and if you witness illegal dumping, write down the license plate of the vehicle or snap some pictures. The city is launching a unique program that will provide rewards to witnesses who help stop people illegally dumping in Oakland neighborhoods. With the Reward for Reporting Illegal Dumping Program, witnesses who report illegal dumping can receive up to half of all penalties collected in successful enforcement actions based on the witness' reports. This sends a strong message that Oakland will not tolerate illegal dumping in our neighborhoods and city streets. 1. Call the Public Works call center at 510-615-5566, Monday–Friday, 8 a.m.–4:30 p.m.
4. Online: OaklandPW.com, click on "Report a Problem"
• Include the type of debris, amount, and location in your report. • Never touch hazardous or medical waste! • The city will take care of abating the illegal dumping and help you to apply for the reward program. Oakland could be the cleanest cities in the world if we would just start caring and refuse to accept the blight as status quo. This explains the uneasy feeling I get when I see the birds living in San Leandro Creek. The words, "your days are numbered" come to mind. I think the real corruption here is the city manager making almost a half-million dollars a year! How do people justify that this is OK? Why should our tax money pay these exuberant salaries [and benefits]? How many of you make $412,000 a year [in total compensation]? Why aren't people outraged by the lack of fiscal responsibility in the City of Richmond. The city spent $101 million to renovate City Hall? Wow! That is a great use of our hard earned money taken from us in taxes. Wake up, Richmond! The rhetoric is flying fast and furious in John Geluardi's [story] about Richard Poe's ballot initiatives. 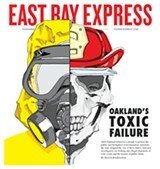 There's so much to laugh and/or cry about: Bill Lindsay's sort-of-actually-insane compensation package; Poe's willingness to battle it out in the comments section of EastBayExpress.com, but not be interviewed; and the fact that California's ballot initiative process would allow a developer to supersede a city's General Plan. If I squint my brain, I can actually think of good and bad things about each of those, but not about Poe's Richmond proposal. A 59-home boutique neighborhood is not what Richmond's waterfront needs right now. This is a crucial moment for the future of the East Bay; allowing our cities to be developed poorly will only exacerbate the crisis of urban displacement. My objection to the unsubstantiated racial element in this report aside, I would like to [say] that I consider the pattern of setting fines and penalties for traffic offenses in California to be abusive. It is, in my opinion, a violation of the "excessive fines" provision of the United States Constitution. It makes a mockery of basic fair play between imperfect average Joe citizens, rich or poor, and a government possessed of overweening electronic powers to turn them into tax-farming targets. As reported in the blogpost "Alameda County Traffic Court Eliminates Harsh License Suspension Policy That Punished the Poor" [published on EastBayExpress.com] on November 11, I commend the Alameda County Superior Court for their revision to the implementation of Governor Jerry Brown's traffic ticket amnesty program. Namely, I am encouraged that the court has taken steps to mitigate the cruel and unusual punishment of crippling traffic offenders from participating in local economies through the suspension of drivers' licenses. While the violation of traffic laws should be disciplined in the interest of public safety, discipline should come in a form that is appropriate for the violation. Though license suspension may seem an appropriate response, the reality is that the ability to drive is a fundamental factor in someone's ability to hold employment and thereby uphold their responsibilities to their families, partners, and children. In reality, the practice of license suspension should be further examined to fully understand the crippling impacts it can have on communities without other means of accessing employment. For people who don't have access to decent public transportation or who work multiple jobs outside of transit-rich neighborhoods, the practice of suspending driver's licenses is cruel and unjust. Given the reality that communities of color are more likely to be targeted by police even for traffic violations, this practice also only further exacerbates racial inequalities. Other forms of discipline (such as community service) can and should be explored before low-income residents are pushed further into poverty through the crippling effect of a license suspension.